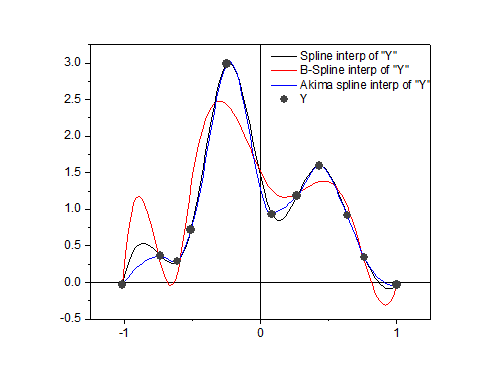 The graph is created using Intepolate Gadget .It displays interpolated results with three methods: Spline, B-Spline and Akima Spline. Click on the green locks in the graph and select Change Parameters…from context menu to open Interpolation dialog. 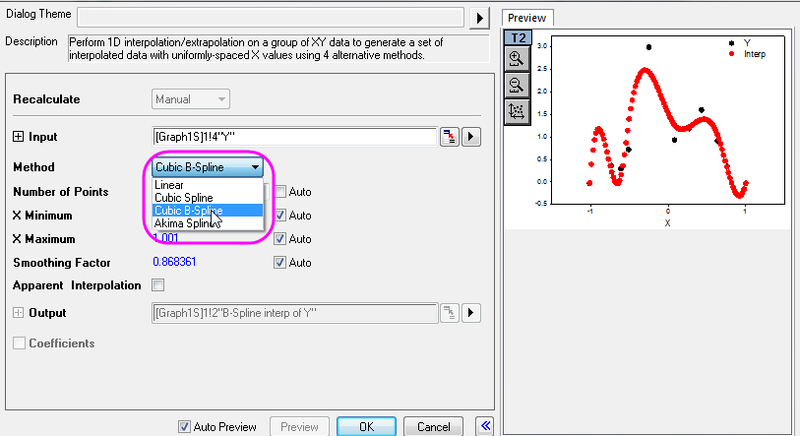 Akima Spline can also be selected as a line connection method for Line or Line+Symbol plots. The control is available in the Line tab of Plot Details at the Plot Properties level.